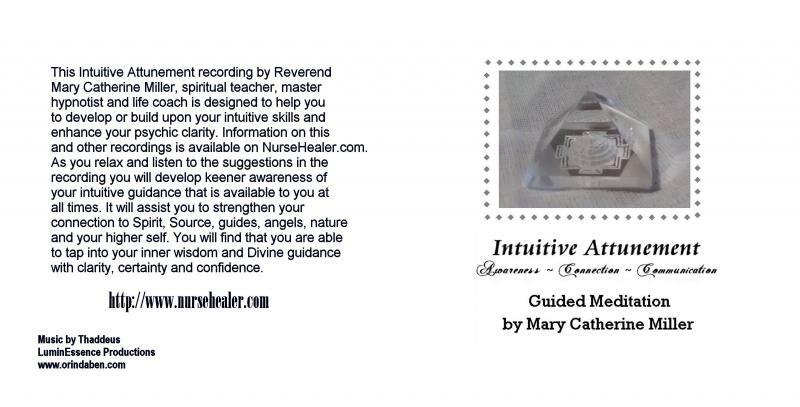 This Intuitive Attunement recording by Reverend Mary Catherine Miller, spiritual teacher, master hypnotist and life coach is designed to help you to develop or build upon your intuitive skills and enhance your psychic clarity. 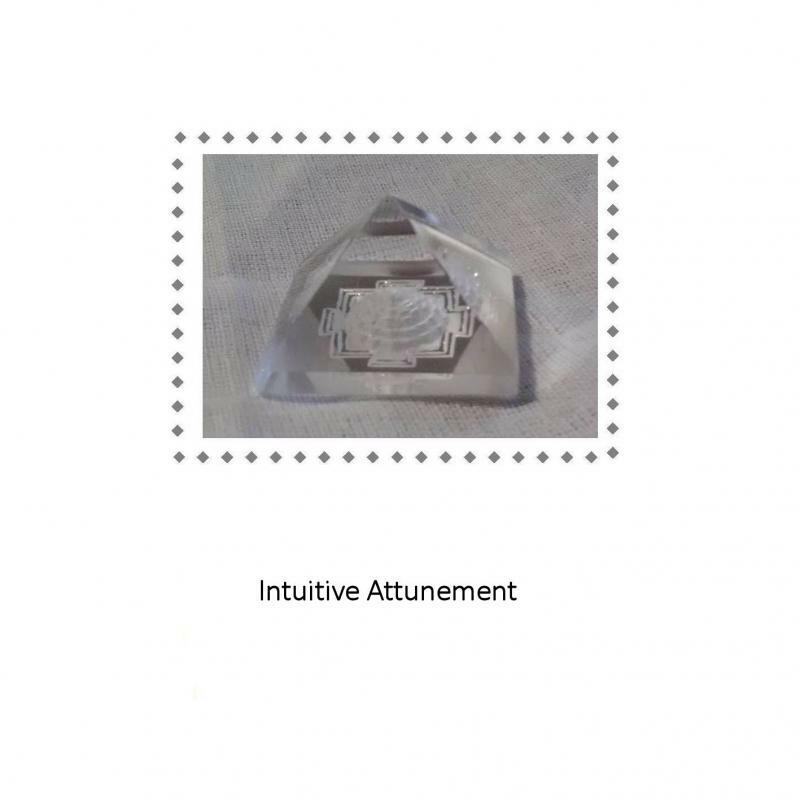 Tap into your inner wisdom an Divine guidance with clarity, certainty and confidence. 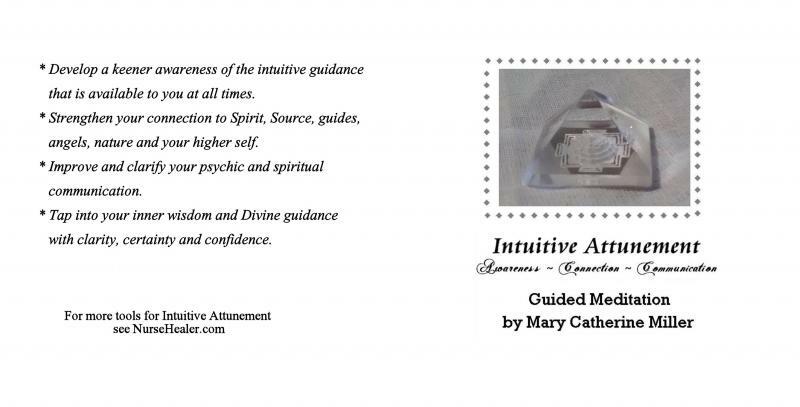 Mary Catherine Miller is a Certified Hypnosis Practitioner, Past Lives Regressionist, Life Between Lives Hypnotist, Life Coach, NLP Practitioner, Divine Purpose Guidework(TM) Practitioner and non-denominational minister. 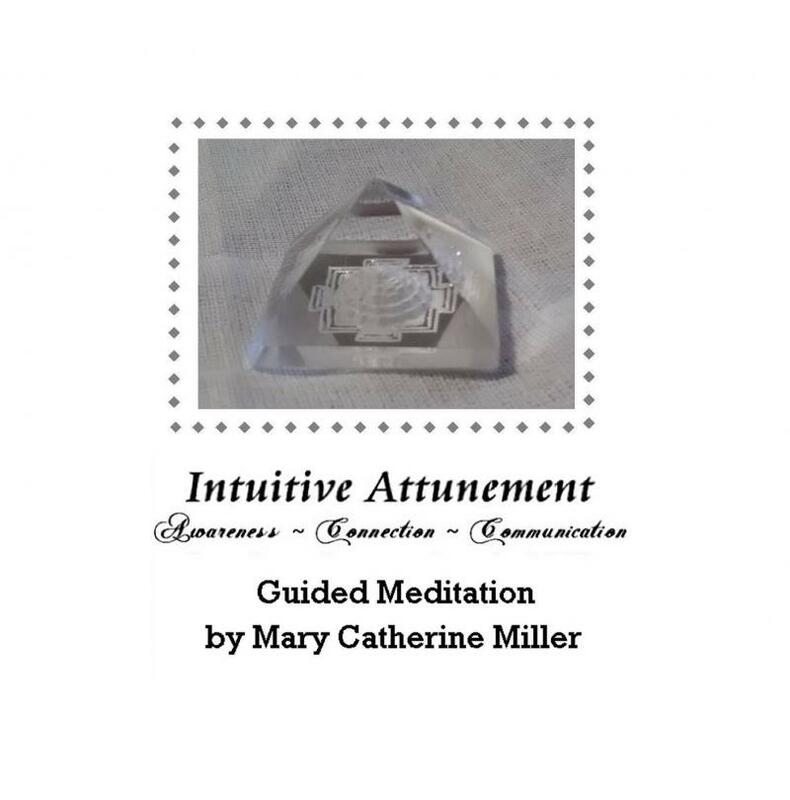 She is a member of the American International Association (AIA), National Association of Transpersonal Hypnotherapists (NATH) and American Alliance of Hypnotists. Reverend Miller is a spiritual teacher with classes and workshops online and in the North Texas area. She is a speaker for professional and lay organizations and an instructor of Divine Purpose Guidework. 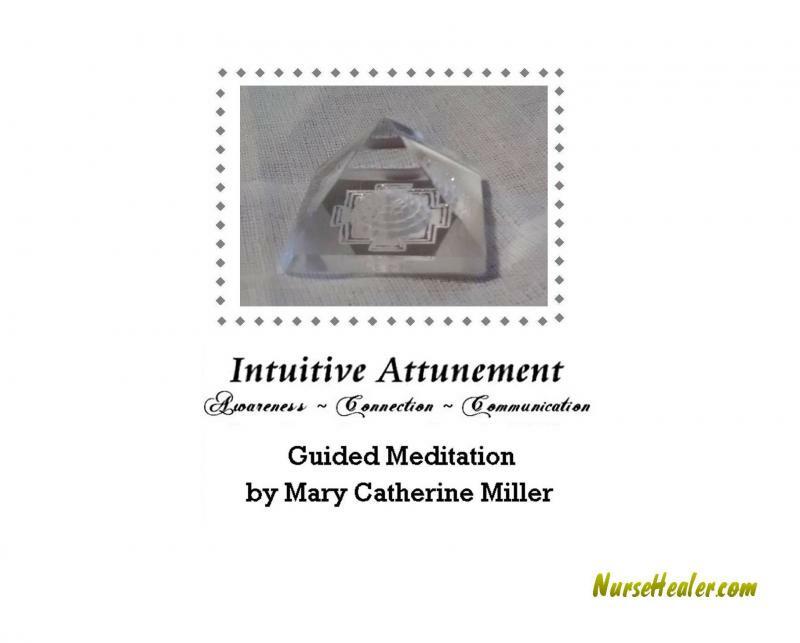 Classes and meditations are available through NurseHealer Radio. 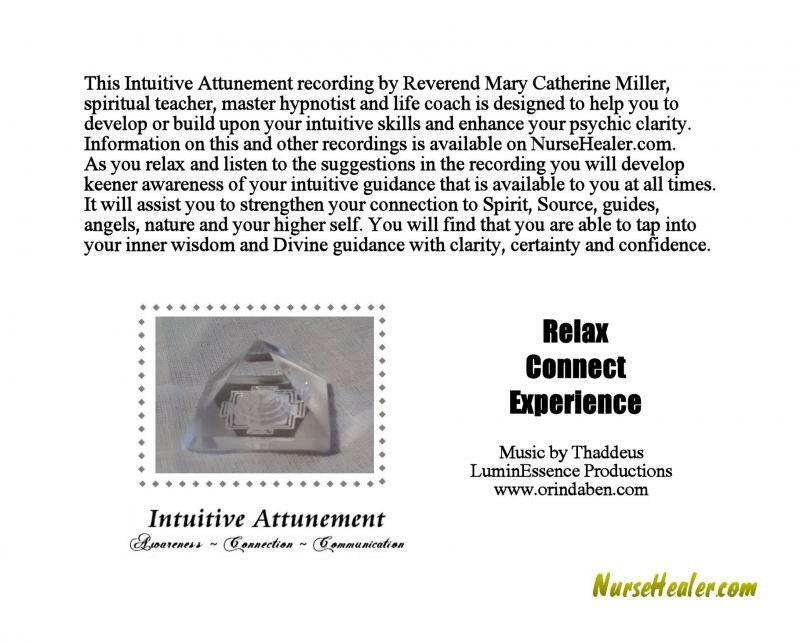 Hypnosis CDs, books and other materials are published on Amazon and through the NurseHealer.com Store.